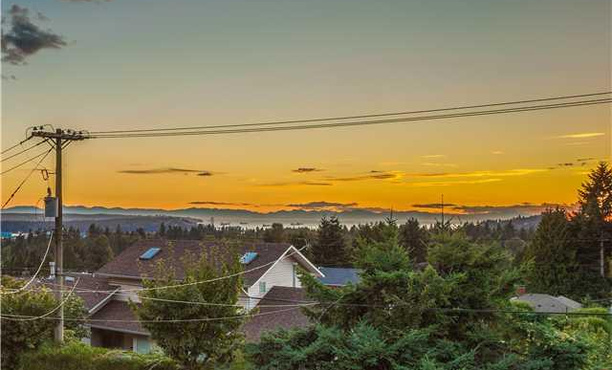 OPEN HOUSE in Upper Lonsdale this Sunday August 10th from 2:00 - 4:00 pm. Totally renovated unique & open floor plan with sweeping views of ocean, downtown, bridge and mountains in prime Upper Lonsdale. Lots of natural lights floating through make this home super bright. Spacious open living room directly facing the views that is great for entertainment. Modern 4 bathroom, 3 contemporary Kitchens with S/S appliances, built in oven & microwave. Huge countertops is a big advantage, family room overlooking designer landscaped garden complete with fountain, great media room with bar. Covered porch & balcony for your leisure. New windows, exterior roof, flooring, paint, furnace, yard & A/C system. 1 bedroom legal suite plus a nanny suite with separate access that presently used as office.